The Securities and Exchange Commission has reportedly been scrutinizing Ether, second only to bitcoin in value, to determine whether it should be considered a security; today, an SEC official stated it is not. A top Securities and Exchange Commission (SEC) official said Ether is not a security, meaning the world's second most valuable cryptocurrency (behind bitcoin) will not likely fall under the agency's purview. The proclamation by the SEC's director of corporate finance, William Hinman, will bring a sigh of relief to investors and cryptocurrency miners who were concerned regulating Ether would affect its value. Ether’s price soared following Hinman's comments. In May, reports surfaced that Ethereum was under regulatory scrutiny by the SEC, which was considering whether the blockchain-based digital currency should be classified as a commodity or a security. An SEC decision to classify Ethereum's Ether cryptocurrency as a security would have had far-reaching consequences for other digital monies originally crowdfunded through initial coin offerings (ICOs). Speaking at Yahoo Finance's All Markets Summit, Hinman said today he didn't consider Ether or bitcoin as securities; it is the first time the agency has clarified its view of any cryptocurrency. "Based on my understanding of the present state of ether, the Ethereum network, and its decentralized structure, current offers and sales of ether are not securities transactions," Hinman said in a statement. The SEC's view of Ether likely hinged on whether pre-sales of the cryptocurrency, via an initial coin offering, constituted an enterprise having a degree of influence over its value. Bitcoin, Ether and other cryptocurrencies have come under increased regulatory oversight by states and the U.S. government seeking to protect investors purchasing the digital currencies on open exchanges. Internationally, bitcoin has also been more tightly regulated for its drain on infrastructure resources, mainly its use of electricity to run vast data centers. 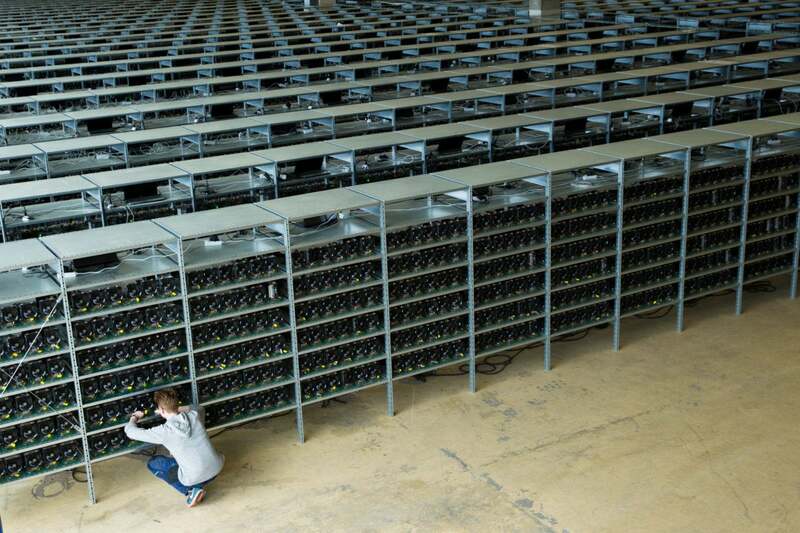 A technician maintains bitcoin mining rigs in KnCMiner's data center in Boden. The SEC, however, was exploring whether it has the ultimate purview over Ether or whether the cryptocurrency would fall under the authority of another agency as a commodity, according to a report in the Wall Street Journal. Though Ether is currrently considered a commodity, there's "flexibility" for the SEC to choose either direction going forward, according to Zach Fallon, a former senior council with the agency who is now a securities law attorney and consultant. He is also senior legal advisor for Dispatch Labs, a start-up developing an enterprise-class blockchain protocol for dApps. Before leaving the SEC in April, Fallon worked with the agency's director of corporate finance and spent his last year there focused on distributed ledger technology (blockchain) and small business regulatory policies. The Ethereum Foundation's blockchain network was bootstrapped through an Ether presale in August 2014. And, therein lies the rub, separating Ether from cryptocurrencies such as bitcoin, which has been determined to be a commodity because there was no pre-launch ICO, according to Fallon. By pre-selling Ether, Ethereum could be viewed by the SEC as a common enterprise that had influence over its value, similar to how a public company's actions are key to its stock's value. Determining whether a cryptocurrency is a security, and therefore falls under the purview of the SEC, centers on the circumcstances under which it is sold, Hinman said in his statement. If a cryptocurrency was originally sold in a securities offering, or an initial coin offering (ICO) – where the holder of the currency has a set of rights and financial interest in the enterprise offering it – then the SEC would maintain purview over it. "But what about cases where there is no longer any central enterprise being invested in or where the digital asset is sold only to be used to purchase a good or service available through the network on which it was created?" Hinman said. In those cases, the SEC would not maintain oversight. The SEC's determination hinges on precedent set by a Supreme Court decision that has become known as "the Howey test." Unlike bitcoin, which is treated as an asset by the IRS, and is virtually unregulated, ICOs are by definition securities because they pass the Howey test; the test determines whether a financial transaction qualifies as an investment contract and thus is a security. In the famous court case, the W.J. Howey Co. owned Florida citrus groves, the fruits from which would typically be considered a commodity when sold on an exchange. However, the Howey Co. also leased about half of its groves in order to finance future grove developments. Howey's own fruit groves, therefore, were found to be tied to its leased groves, which qualified as an "investment contract" instrument – or a security. "With bitcoin, there was no offer of investment opportunity in way that would trigger the Howey test," Fallon said. "The efforts to create bitcoin came solely [from] the miners themselves in securing the network. And, in that regard [bitcoin] wouldn't pass the Howey test." Like many other cryptocurrencies such as Ripple, Ether digital currency acts as a "fuel" for the Ethereum blockchain network, which is an open-source distributed ledger technology over which businesses can transact business without a central authority. Because the Ethereum network is based on open-source protocols, it's relatively easy for new distributed applications to be created for it. Ether acts as an incentive to ensure developers write quality applications because those who write useable code are rewarded in Ether. The Ethereum Wallet where Ether can be purchased, is a gateway to decentralized applications on the Ethereum blockchain. It allows users to hold and secure Ether and other crypto-assets built on Ethereum, as well as write, deploy and use smart contracts, according to the Ethereum Foundation. "I am seeing, strictly speaking, the token – or coin or whatever the digital information packet is called – all by itself is not a security, just as the orange groves in Howey were not," Hinman said. "Central to determining whether a security is being sold is how it is being sold and the reasonable expectations of purchasers." The Howey test has been articulated in slightly different ways by different courts, but the test generally determines whether an arrangement constitutes (1) an investment, (2) in a common enterprise, (3) with a reasonable expectation of profits, and (4) to be derived from the entrepreneurial or managerial efforts of others. 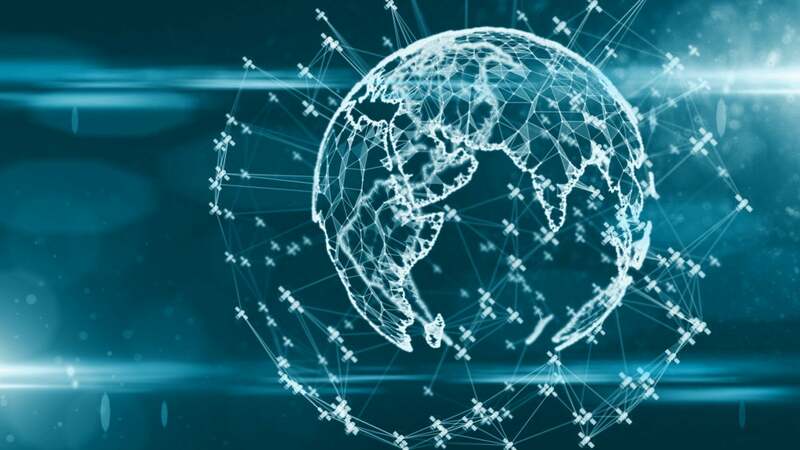 "If all four of those elements are true, then the arrangement is an investment contract [or a] security," said John Jennings, a partner with the lawfirm of Nelson Mullins Riley & Scarborough LLP., which covers banking and financial services, blockchain and digital currency. There are a plethora of legal and factual issues "that could be teased out," including what is an "investment," what is a "common enterprise" and who are the "others" whose managerial or entrepreneurial efforts will impact token value and how impactful those efforts are, according to Jennings. The determining question for Ethereum and other cryptocurrencies established through ICOs may be whether those purchasing the digital coins had a reasonable expectation of profits, Jennings explained in an email. That raises the question of whether the potential increase in the value of Ethereum was to be derived from the entrepreneurial or managerial efforts of "others," he said. "That prong of the Howey test has generally been applied to refer to the managers of the entity issuing the alleged investment contract," Jennings said. "Therefore, questions lie in whether the potential appreciation in value of Ethereum should be viewed as being derived from the entrepreneurial or managerial efforts of the Ethereum foundation." "As Ether is used today, it could potentially not be viewed as a security," Fallon said, "because it exists on a decentralized network independent of those who created it." Context, however, matters. The basis on which Ether was launched is not the context of today in that there was a smaller community of players with the possibility that part of that community included Ether developers, Fallon said. The ultimate conclusion in an investment contract analysis can often depend on whether the purchasers at that time were motivated by the desire to buy Ether or speculate on its future value. For example, if you were to buy a condominium to reside in, that condominium would not be considered a security because it was bought with the intent to use it. "So the question is..., what were the facts surrounding the [initial] purchasers of Ether and what were the expectations set," Fallon said. "If they were purchasing it to speculate on the potential value increase of Ether in the future, then you potentially have a problem from a securities law standpoint." The Howey test is famously flexible, both Fallon and Jennings agreed, and as a result it can be applied in innovative contexts, which could allow Ether to be seen as a commodity. However, the flexibility also means that the test can allow reasonable people to arrive at differing conclusions, "which can be maddening (even for lawyers, who are accustomed to living with uncertainty)," Fallon said.